Luke James from Bowling Green, OH has been named the winner of JustLetMeSing.com’s worldwide singing contest. To win, Luke beat out over 600 other contestants and made it through nine rounds of elimination singing a variety of cover songs and originals. The contestant search began in July 2010 and garnered entries from 48 U.S. states and 45 countries. Contestants uploaded videos and the public was invited to vote for their favorites at JustLetMeSing.com. Luke received 154,000 votes to edge out the bluesy runner up, Anna McReynolds from Nashville, TN. The competition also had a parody category which was won by Tim Baggett of Newport News, VA. His finale video was a comical take on Billy Joel’s “We Didn’t Start the Fire” called “We Didn’t Read the Label”. While he was never into music while growing up, Luke finally picked up a guitar at age 18 and hasn’t stopped since. In 2009 and 2010 he made it to the Hollywood round of American Idol. After just missing the top 24 both times Luke decided to pursue a career in music and has been performing shows across the country. Luke created his own videos, each with its own artistic flair. One of his more popular videos featured him singing Gnarls Barkley’s “Crazy” with over 30 wardrobe changes during the four minute song. Another is his original “We Fall” which showcases him playing guitar with broken strings in a suit and tennis shoes under a tree in the middle of winter. As the winner, Luke receives the opportunity to record his own single at The Record Shop in Nashville, TN. He will also be performing on Balcony TV Nashville which is shot at The Hard Rock Café. Luke also receives a Virtual Radio Tour valued at $5,000, which exposes his music to radio stations across the country. Season two of Just Let Me Sing will feature microsites hosted by local media partners in the U.S. and Canada. The site is integrated into Facebook and Twitter to increase the viral spread of the best videos. Anyone interested in becoming a microsite partner or contacting the artists please see below. Matthew Lasar of arstechnica.com shares news on Gene Simmons’ recent comments on illegal downloading. How do you feel about the effect of illegal downloads on the industry and what has been done to discourage P2P users? Share your thoughts for a chance to earn a day of studio time at The Record Shop! 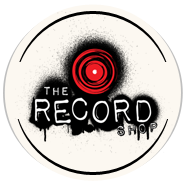 http://therecordshopnashville.com/wp-content/uploads/2018/10/nashville-recording-studio.png 0 0 The Record Shop http://therecordshopnashville.com/wp-content/uploads/2018/10/nashville-recording-studio.png The Record Shop2010-10-10 17:59:452010-10-10 17:59:45Gene Simmons on Illegal Downloading. Austin Carr of fastcompany.com shares the recent news of how Converse is jumping into the music industry for a unique method of promotion. Converse is testing a new way to get its foot in the door of the music industry. The shoe company is building a studio in Brooklyn called Converse Rubber Tracks, which will provide artists with free recording time in exchange for future promotions. Converse is not looking for revenue from the songs themselves–artists will actually keep ownership rights–but it is hoping to gain access to on-the-verge bands, which will generate good will for the brand for helping to break them and get Converse in on the ground floor. read more……. http://therecordshopnashville.com/wp-content/uploads/2018/10/nashville-recording-studio.png 0 0 The Record Shop http://therecordshopnashville.com/wp-content/uploads/2018/10/nashville-recording-studio.png The Record Shop2010-10-07 19:42:252010-10-07 19:42:25Converse ventures into the studio biz? Here’s some info on this exciting new company! music is now produced entirely using computer music software. all new music is being produced entirely on computers. the hardware is replaced by software plug-in that easily works with modern DAWs. are also three convenient payment plans to meet all types of budget.